1942/1-D Mercury Dime, Full Split Bands, Scarce Choice BU++ Key Date ERROR! 1942/1 Mercury Dime 10C Coin - NGC XF Details (EF) - Rare Overdate Variety! 1942/1-D Mercury Dime 10C - PCGS VF Details - Rare Overdate Variety Coin! 1942/1-D Mercury Dime 10C - Certified PCGS VG10 - Rare Overdate Variety Coin! 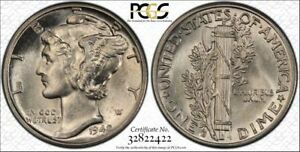 1942/1-D Mercury Dime 10C - PCGS AU Details - Rare Overdate Variety Coin! 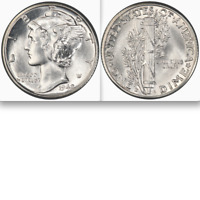 1942/1 Mercury Dime 10C - ANACS XF40 - Rare Overdate Variety Coin - $585 Value!